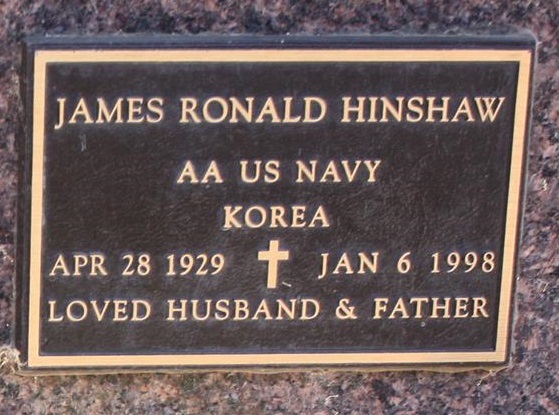 James Ronald Hinshaw5,6 [James Ronald Lynch6,7, Roland Henshaw8]. CHIRIACO SUMMIT A 68-year-old Placentia man was struck and killed by a passing big rig as he walked in the eastbound fast lane of Interstate 10 about 2:30 p.m. Tuesday, authorities said. 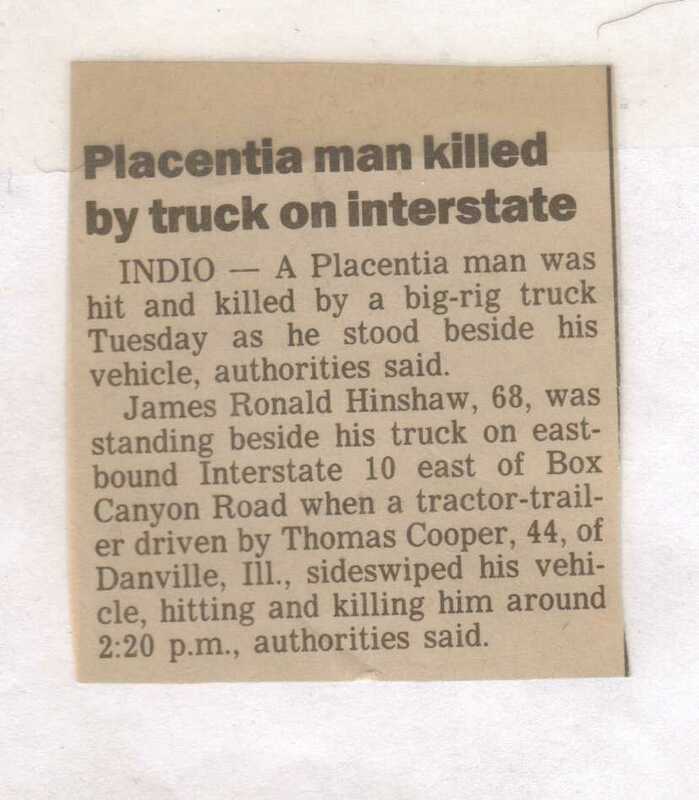 James Ronald Hinshaw was killed when a tractor-trailer hit him on the freeway just east of Box Canyon Road, about 50 miles east of Indio, said Riverside County Deputy Coroner Alendra Birdsall. 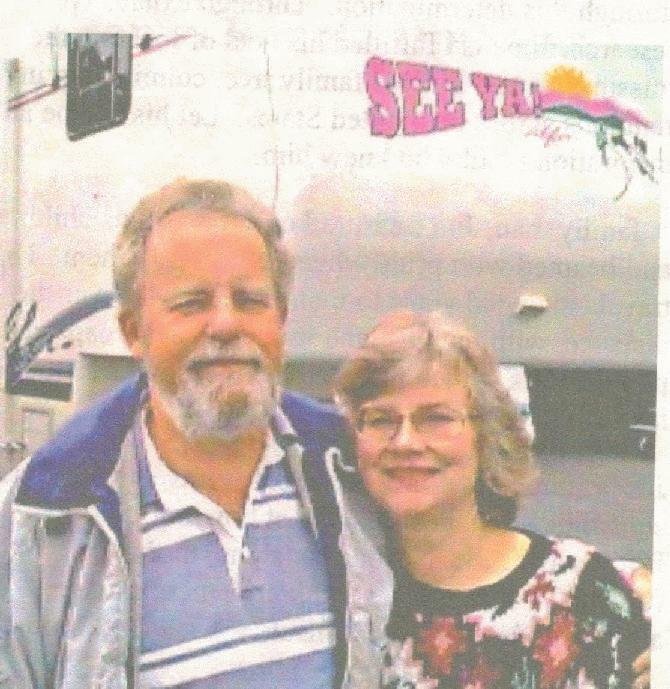 Authorities did not know why Hinshaw was walking along the roadway or if his vehicle had broken down. "Family Tree Maker, Family Archives, World Family Tree", Vol. 3, by Broderbund Software, a collection of individual family group submissions. 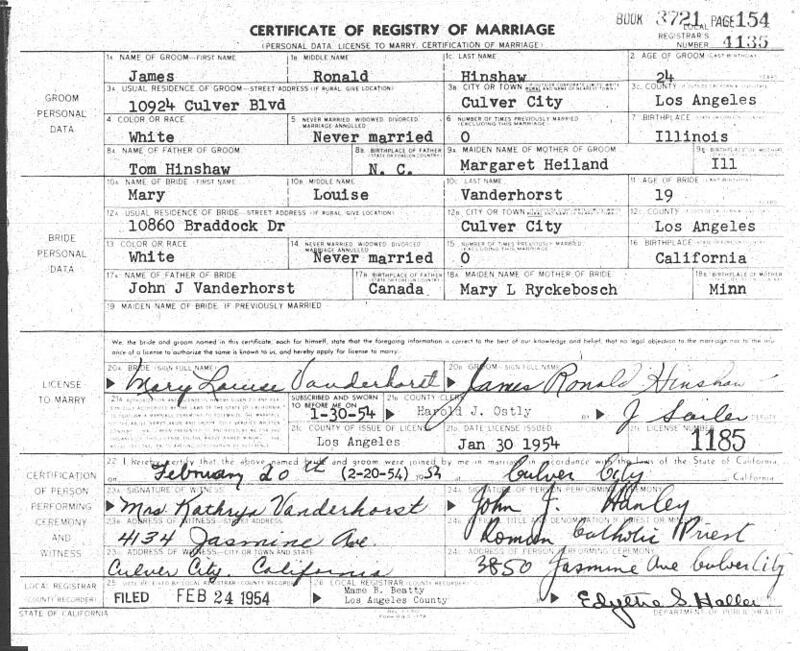 1940 census, Chicago, Cook County, Illinois; roll T627-947, ED 103-868, page 4A, line #33. household #64. 1930 census, Chicago, Cook County, Illinois; roll T626-479, ED 1480, page 25A, line #23. dwelling #374, family #454. Ancestry Family Tree data "SHOFFNER_SHARPE_HOLT_MOORE_ZIMMERMAN" posted by "hshoffner1". Contribution from Nancy Marie (Hinshaw) Tooley. Contribution from Bill McFall () and Bette Ann McFall (). 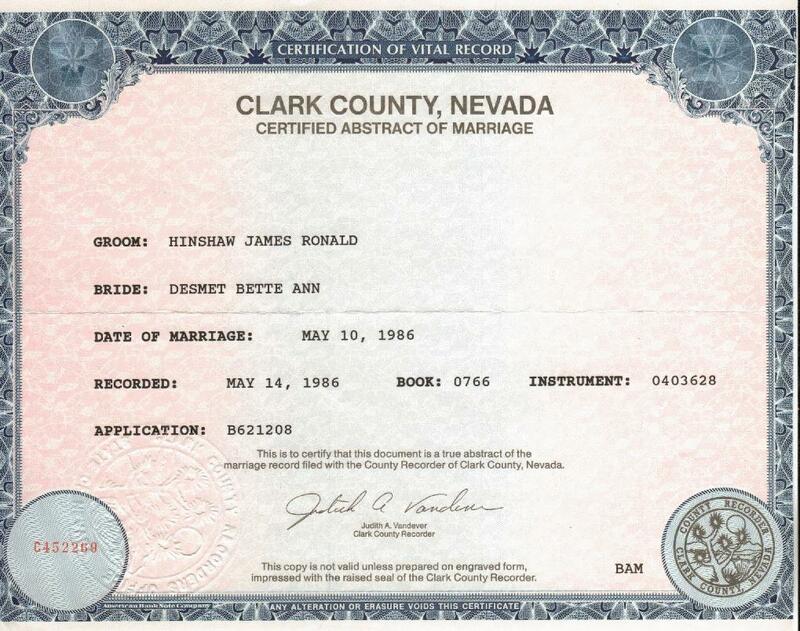 Nevada, Marriage Index, 1956-2005; http://www.ancestry.com.